Over the last decade, as both a member of the San Diego small business community and as an Airbnb host, I’ve seen the incredible benefit that short-term rentals bring to our community. I direct marketing for Mo’s Universe, a small group of restaurants that includes Urban Mo’s Bar & Grill in Hillcrest. Over the years, we’ve seen more and more guests visiting the shops and restaurants in our area, contributing to the growing sense of community and increased interactions with people all over the world. 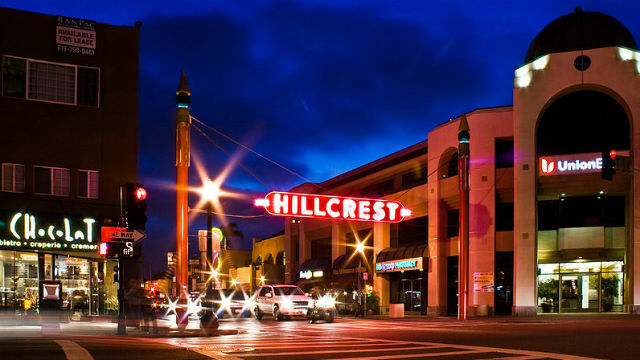 Hillcrest has always been a wonderful community, but because of its location away from the hotels on the coast and in downtown San Diego, it hasn’t benefitted from the visitor dollars that tourism districts enjoy. Nonetheless, it has lots to offer to visitors and is a community people want to experience like a local. The weekend-long LGBT Pride Festival is an event that brings thousands of visitors to the neighborhood each July. This past summer, Airbnb guests visiting the parade spent over $3 million during the weekend, an economic boost that benefits all of the business owners throughout the San Diego area. Though the Pride Parade has been taking place for over 40 years, Airbnb has enabled guests to stay right here among the festivities and generates spending in businesses like ours, because guests don’t have to leave the neighborhood. Throughout my time at Mo’s Universe, I’ve spoken with many visitors who enjoy strolling through our famous Sunday Farmer’s Market or look forward to the annual Hillcrest CityFest. Our restaurants have also welcomed folks who are in town visiting their loved ones at Scripps Mercy Hospital or the UC San Diego Medical Center, both of which are in the neighborhood. They like to stay close to where they want and need to be, and we like treating them to our special Hillcrest hospitality. Despite the thousands of visitors who come to Hillcrest each year, lodging options in the area are quite limited. Hillcrest, Mission Hills, Bankers Hill, University Heights and North Park don’t have nearly enough hotels to accommodate people who want to stay in these cool mid-city neighborhoods. That’s why Airbnb and short-term rentals have become so important to the vitality of our community. I’m an Airbnb host and began renting out my space after college due to the high cost of living in San Diego. The income I earned helped pay off student loans faster. On top of the economic benefits, I enjoy meeting people from all over the world and want them to see and experience America’s Finest City like a local. As City Council members consider regulations around short-term rentals, I urge them to think about the positive impact short-terms rentals have had on small local businesses and proud communities like mine. Allowing people to share their space — whether it’s a room in their house, a granny flat or their entire home — has an enormous positive impact on our city in every way. I hope the members of our City Council will recognize those benefits and implement fair and reasonable rules for all San Diegans. Lukas Volk is marketing director for Mo’s Universe, a small group of restaurants that includes Urban Mo’s Bar & Grill in Hillcrest.